The Lieb-Schultz-Mattis theorem and its generalization to higher dimensions stipulates that a magnet with half-integer spin per unit cell must either order, or form a quantum spin-liquid with fractionalized excitations. 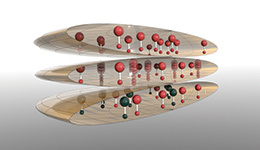 Results of this form are a powerful tool in the experimental search for quantum spin-liquids. Recently it has been realized that additional crystal symmetries, like glides and screws, can be used to derive even more stringent versions of the constraint. In this talk, I will propose the general form of such constraints for arbitrary space-groups, and prove it for the 17 wallpaper groups.